Ok. Small flaw in my plan to take back the toy room. What I can clean up in an hour, the girls can destroy in one second flat. So, it appears I need a good chunk of time in order to do the job. Hmmmm, where do I find that ? I do believe, dear husband, you will need to man the children this weekend while I accomplish the big clean-out. I n the meantime, thought I'd share with you some of what I've unearthed, thus far, in that landfill that we call a toy room. This is a hot potato. Literally, its hot - as in stolen goods. 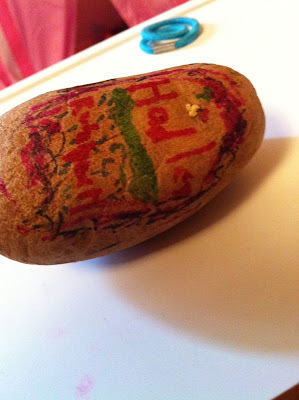 Hadley must have swiped it out of the pantry and decided it was a good medium for a marker project. 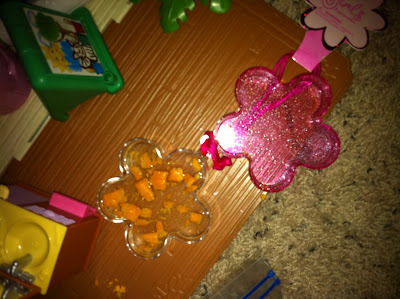 Hmmmmmm - I think these might have been goldfish crackers?Guess they decided to take their snack for a swim. Maybe they were trying to keep them as pets? Either way, poor guys have gone belly up. 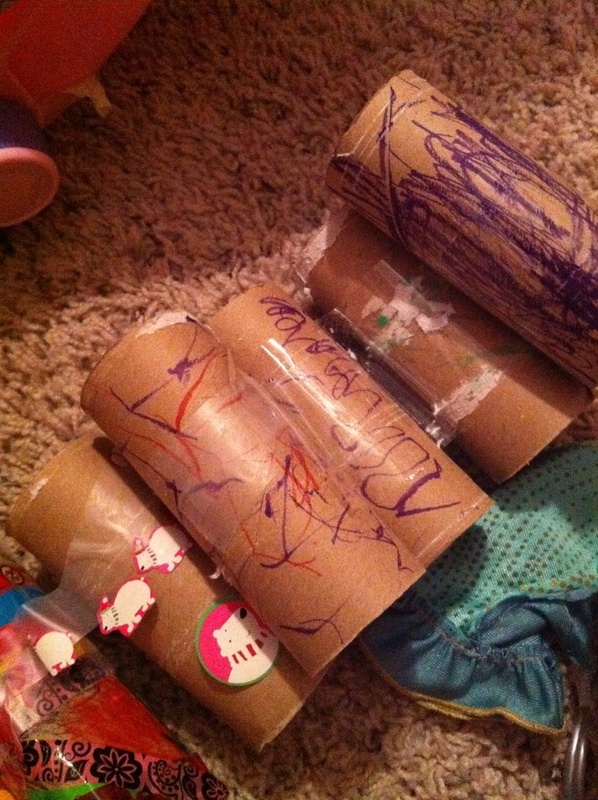 A toilet paper roll village. 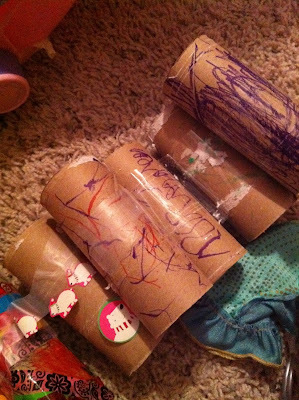 I'm not sure whether to applaud Hadley's eco-friendly art sense or take her to a shrink as she's obviously been dumpster diving.